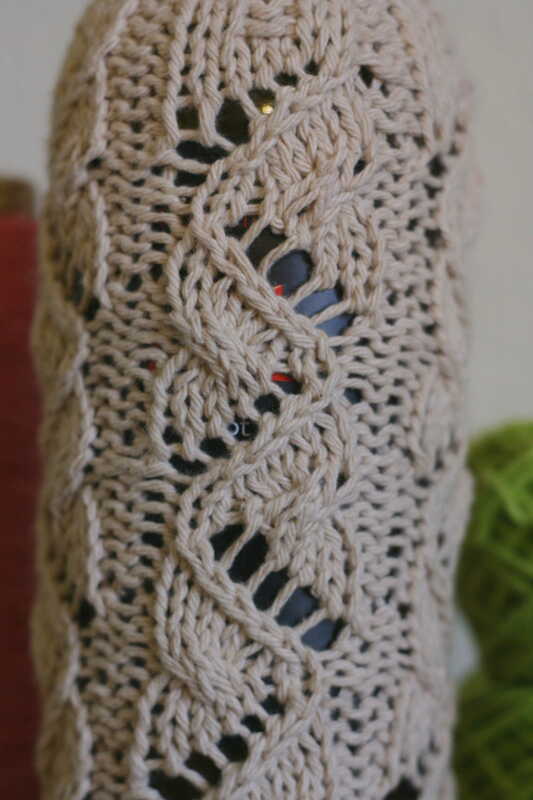 This cozy is made to fit over a 750 ml wine bottle. The pattern is quite stretchy (love those yarn overs!) 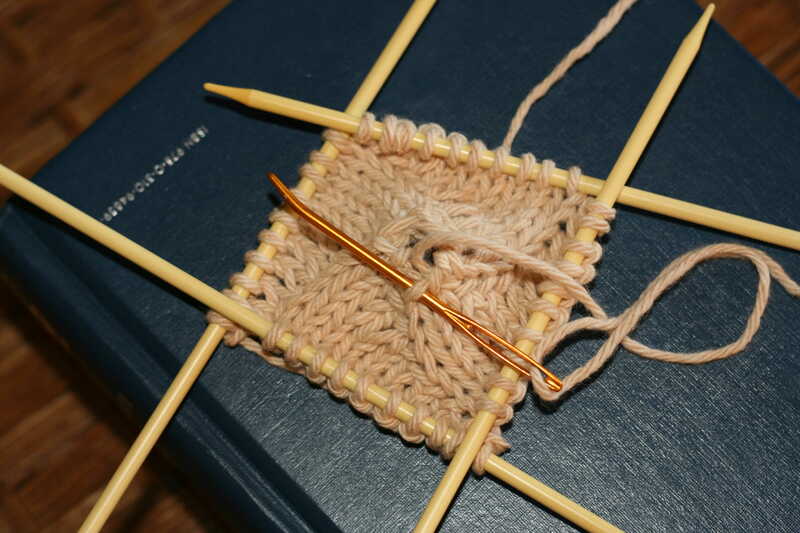 and if made from a cotton yarn, will expand to fit around most shapes. The bottle shown has a bottom diameter of 3 inches (7.6 cm) and a height from base to shoulder of 8 inches (20 cm). If you do have trouble with the fit, you might need to go up/down in needle size. Needles : size 4 DPNs or circular. Cast on 8 sts, join to work in the round. Begin working Chart A. Work rounds 1-8 one time. 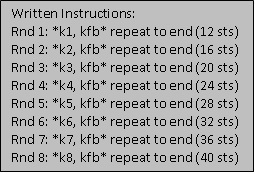 Note that Rounds 1- 8 have increases. That’s why the chart has an uneven edge on the left side. 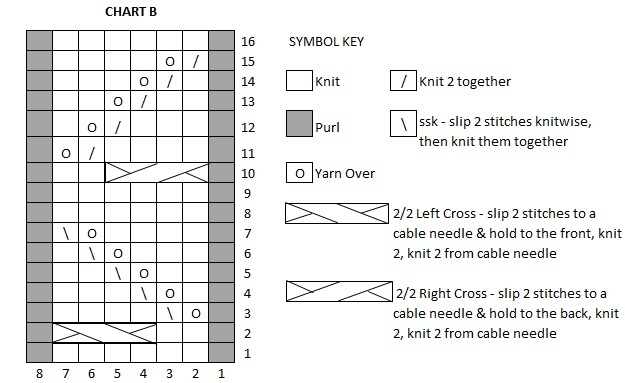 I explain how to read charts, specifically charts with increasing/decreasing stitches, in Working with a Few Easy Charts – A Place to Begin. Worried about the hole left at the cast on? 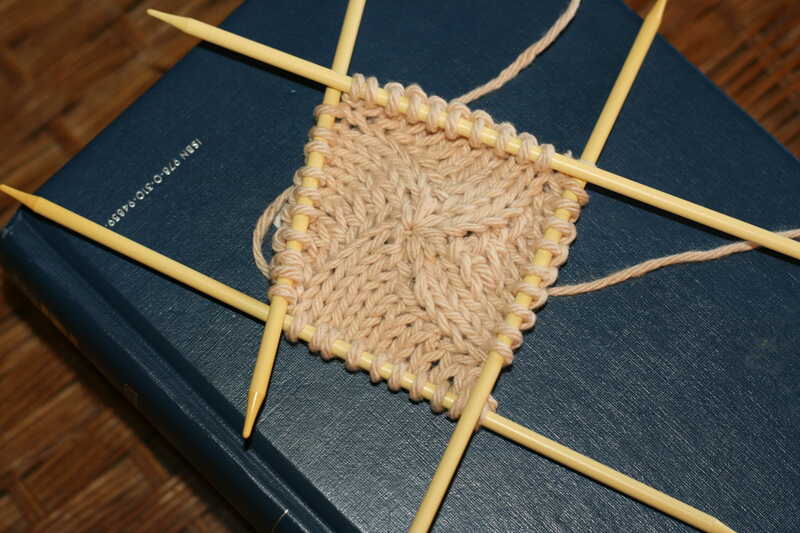 Close it by threading the cast on tail through the base of each cast on stitch…. 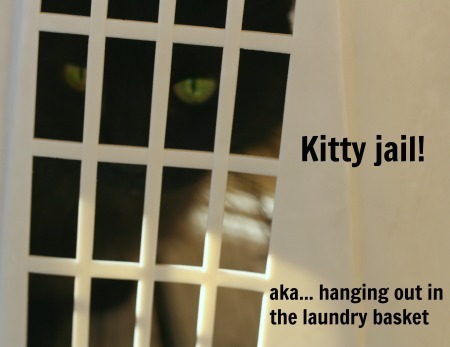 pull closed…. and sew in the end. Work Chart B across 40 sts. Repeat Rounds 1 – 16 three times. 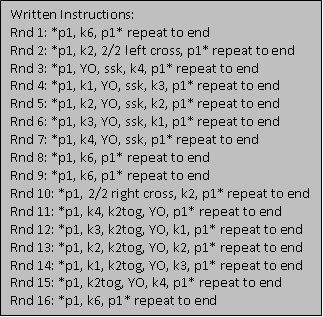 Rnds 1 – 5 : *k2, p2* repeat to end. 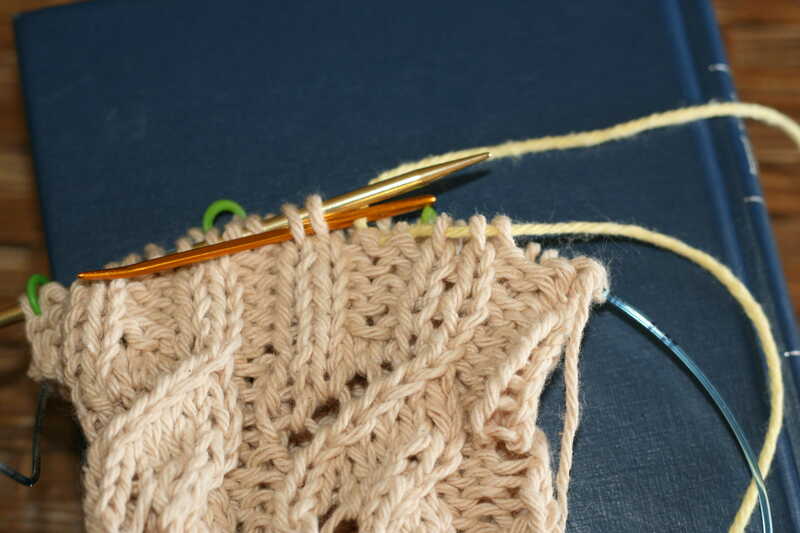 This ribbing should go over the “shoulder” of the bottle. You may find that you need a few rounds more or a few less rounds of it for a good fit depending on your bottle. 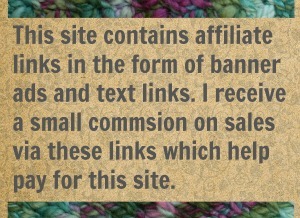 Do not bind off! Cut yarn leaving a 30+ inch tail and thread the tail through the active stitches on the needle. 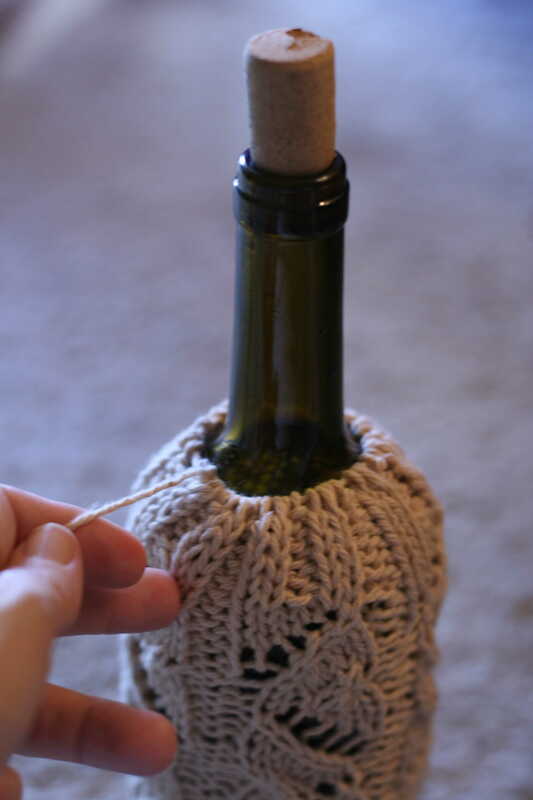 Place the bottle inside the cover and then pull the tail thread, closing up around the neck. Wrap tail and tie off. If you are looking for a way to take this pattern with you, check out the handy “Print & PDF” button down there on the left. And check out our other free patterns. You might find something else you like. 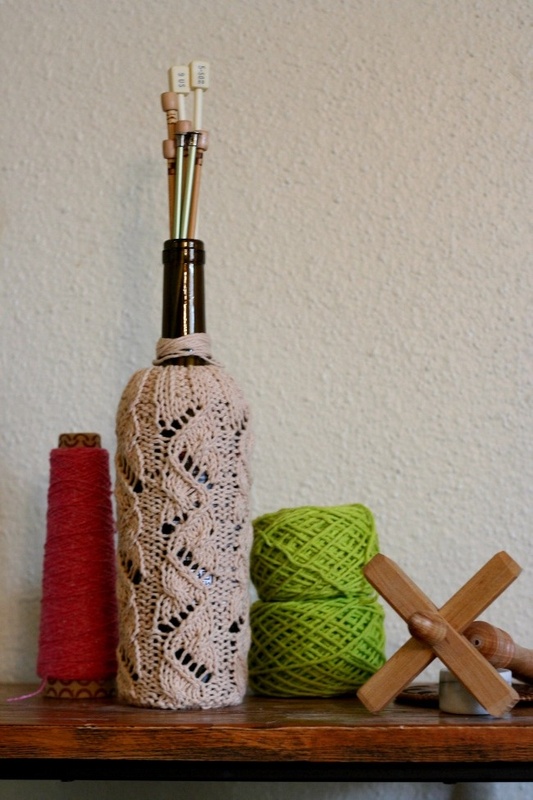 5 Comments on "Wine Bottle Cozy – A chart for working in the round"
What a great idea and just in time for Christmas. A fun way to fancy up a gift of wine. Thanks! It is a great way to fancy up a bottle…. or cover up the fact that you’re serving cheap stuff! Haha. I would never do that. Never. This is a wonderful idea and pattern!